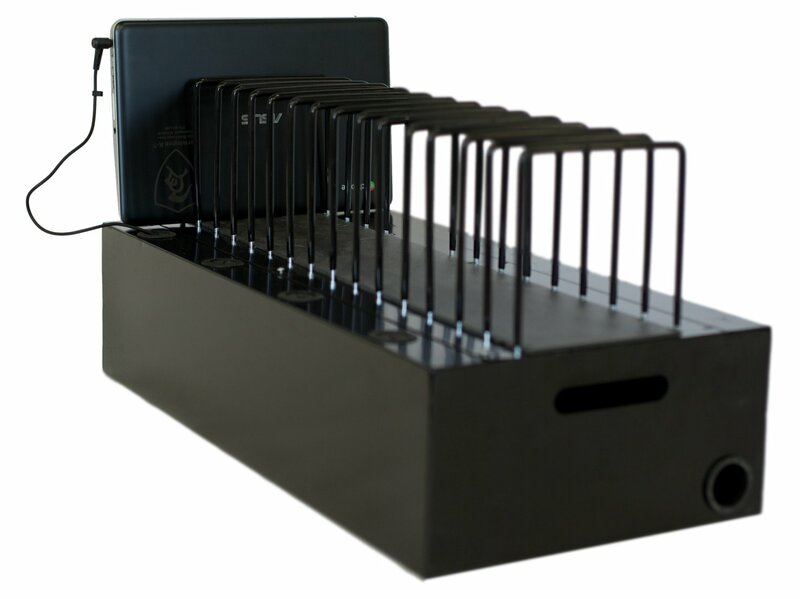 This is your classroom or office charging solution to easily store and transport up to 15 devices. It has the capability to store/charge a variety of devices simultaneously and the built-in cable management of the station minimizes clutter. 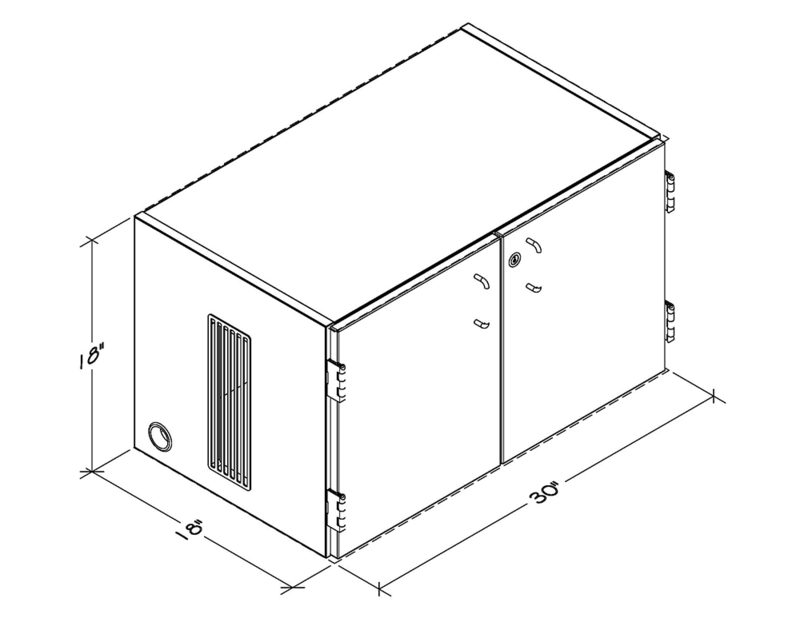 The 1.5” slots are separated by our coated wire dividers and are large enough to accommodate case protected devices. 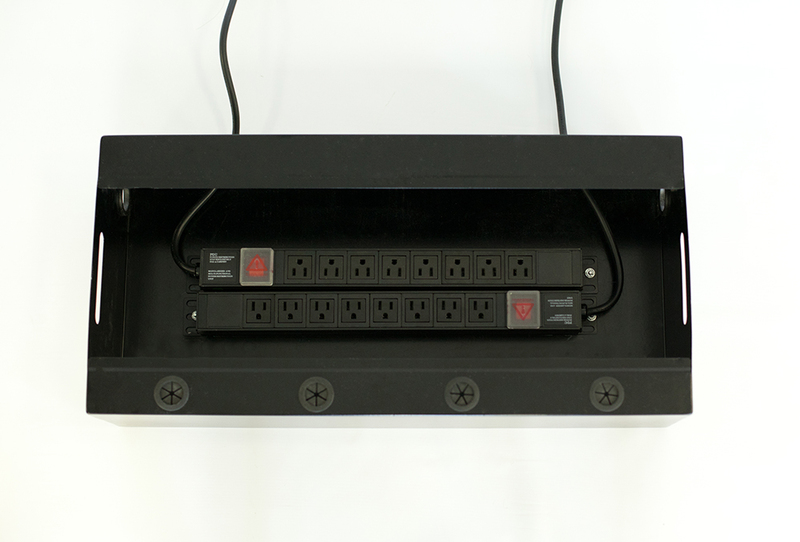 The top lifts off for easy access to a 110 volt power supply that charges the devices when they are not in use. 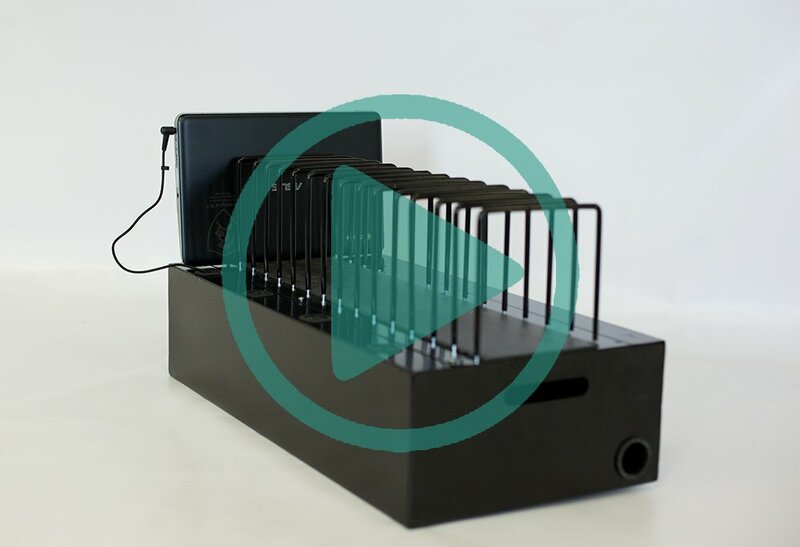 The diversity of this charging station allows you to store it table top to maximize your space or in a Benee’s designed cabinet built to your specific needs.